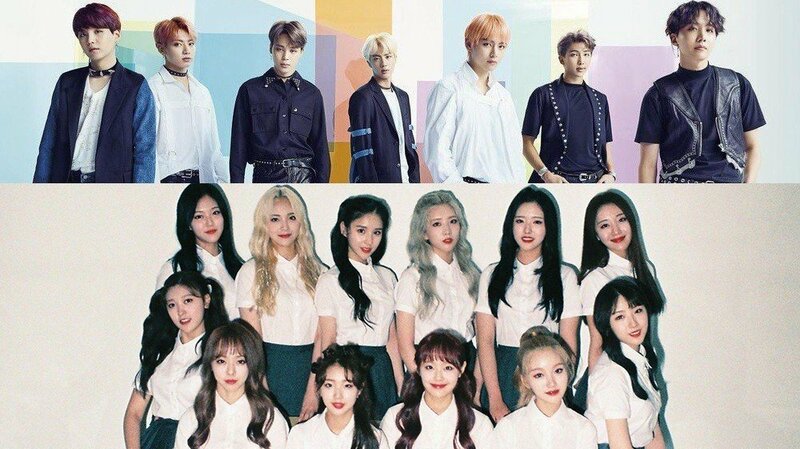 BTS and LOONA won big awards tonight at the '2018 MTV Europe Music Awards' in Spain. Held in Bilbao this year, the 2018 EMAs announced that the 'Biggest Fans Award' goes to BTS while the 'Best Korean Act' goes to LOONA. For the latter category, the groups that had been nominated were: LOONA, (G)I-DLE, Pentagon, Cosmic Girls, and Golden Child. During the red carpet session, MTV had posted a message for BTS and ARMY, congratulating them on Twitter for the award. For 'Best Korean Act', LOONA's name appeared on the screen during the broadcast, along with the rest of the 'World Wide Winners'. Congratulations to both groups, and to all K-Pop groups that were nominated this year! I wonder what the girls reaction were. Good job Orbits.